Parents and carers play a key role in supporting children to learn about how to stay safe online, and they are one of the first people children turn to if things go wrong. We know it can be difficult to stay on top of the wide range of sites and devices that young people use, so we hope that the following advice and courses help. As a school we have subscribed to ‘National Online Safety’ Please have a look at all the materials this offers. It is high quality and completely up to date. There is a course for parents and we hope you will find it useful and informative. The interactive online safety course helps parents and carers safeguard their children from online dangers. 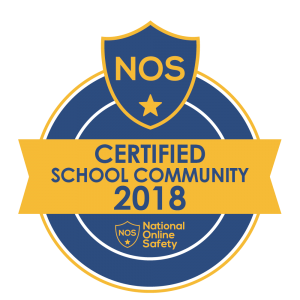 The course has been created to help you understand how to keep your children safe in the online world. We are in a unique position of being able to set our children up with good ‘online world’ habits now and we hope you find this helpful.